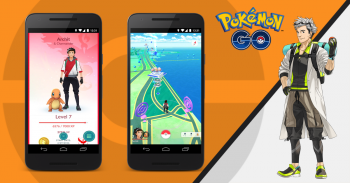 Upcoming Pokemon GO Patch Will Add "Buddy Pokemon"
Buddy Pokemon will appear alongside your Trainer avatar on your profile screen, and you'll earn candy for them just by walking around. Since Pokemon GO launched earlier in the year, we have seen plenty of improvement and bug fix patches, but not really that many new features. Today, Niantic revealed on its official website that an upcoming patch will add a "Buddy Pokemon" system to the game. "You will be able to pick your favorite Pokemon to become your buddy," wrote Niantic. "Having a Buddy Pokemon opens up unique in-game rewards and experiences." Your Buddy Pokemon will appear alongside your Trainer avatar on your profile screen, and you will be able to earn that specific Pokemon's candy simply by walking. It's a great way to get candy for those hard-to-find Pokemon, or simply a Pokemon that you really want to evolve. You're not locked into a Buddy Pokemon in any sort of way - you can switch out your buddy at any time you want. Niantic didn't offer any kind of release window for this update, but told us that it has a lot more "in the works" for Fall, and to stay tuned.